Get used to that noise. It’s a season in which the San Jose State men’s basketball team is far behind the curve and still looked at as building toward mediocrity in the Mountain West. And the bunch is going to spend every waking moment of it, apparently, launching 3-pointers. And, in the case of Wednesday night’s opener against Nevada, missing most of them. The Spartans shot just 34 percent for the game against Nevada in a 62-50 loss Wednesday in which they squandered a one-point halftime lead against one of two other bottom feeders in the conference (the other one being Air Force.) That lead, at 26-25, was not the last one, either. The Spartans actually got up by four in the second half before they went cold from the field and the Wolf Pack found their stroke. Nevada went on an 18-3 run for a good six-minute span in the second half to not only erase the deficit, but put the game away. San Jose State’s shooting never improved, and the Spartans never found any kind of groove from any range. They were 5 for 20 from 3-point range in the game — not bad, but not good — but that small win is immediately negated by the fact that one player hit four of them. Devante Wilson was the only player to really have a good game. He shot well from the field (4-7 from 3-point range, 6-6 on free throws) to lead the team with 18 points. D.J. Brown continues to show his potential as a pass-first point guard by getting five assists (to go with five points). But the problems were glaring on the offensive side of the ball. Chris Cunningham was the only other player in double figures with 10 points, but needed needed 11 shots and was well under 50 percent shooting for the game to get there. For the teams only real post presence, he has to be better if he’s going to take that many shots. Rashad Muhammad, the teams surprise scoring juggernaut of the preseason, was quiet. He had just five points, and missed three 3-pointers; Jalen James, the team’s other big recruit, struggled from the field, making just one of seven shots. This was a missed opportunity. Nevada (6-8) blew no one away in San Jose, and showed that they have a lot of work to do this season also if they want to even sniff the postseason. At 1 for 12 from 3-point range and 42 percent from the field, there was a lot to like about the Spartans defense considering how it has struggled. 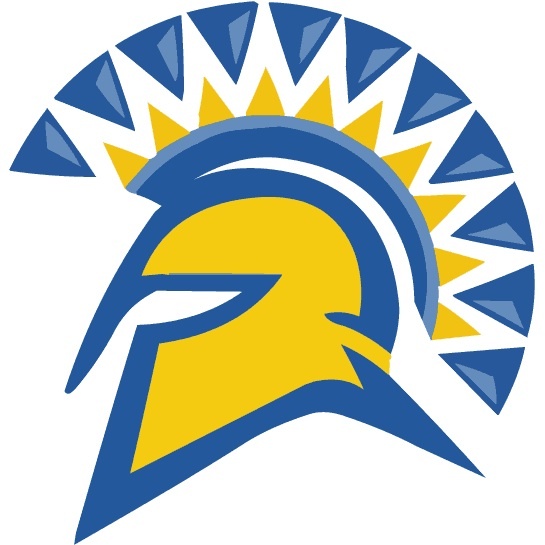 San Jose State is going to go where its shooting takes it this season. That’s not going to be far, but when an opportunity like this is missed, it makes it oh so hard to stay optimistic going forward. Next game: at Utah State, Saturday at 6 p.m.
Sidenote: If you aren’t also checking out Kevin McCarthy’s Spartan Roundball blog, you’re missing out. For as hard as the men’s game was to take, the women’s was even harder. San Jose State (6-6, 0-1) laid an egg on the road in Reno, once again allowing a team to hit the century mark in a 101-74 loss to the Wolf Pack on Wednesday. Much like the men, the problem isn’t hard to find – the Spartans shot just 32 percent from the field, and no one was better than 50 percent from the field for the game. Nevada got 22 points from Danika Sharpe in the first half. The Spartans led for a total of 47 seconds before the Wolf Pack tied it up, then surged ahead. It got so bad the end of the bench was in the game in the second half. Ta’Rea Cunnigan had 17 points, mostly by getting to the free throw line (10 for 13 on free throws). Three others — Classye James (11), Riana Byrd (10) and Jasmine Smith (13) — were in double figures. The Spartans, though, shot just 15.4 percent (2 for 13) from 3-point range in the first half and subsequently got buried by a 23 point deficit at halftime. The Spartans were outrebounded 66-46. Despite nine blocks as a team for San Jose State, Nevada was 43 percent from the field for the game. You have to feel for this team. Coach Jamie Craighead’s offense is a taxing one to run, and being shorthanded is only exacerbating the situation on defense. Only one player Wednesday night had less than 20 minutes on the court, and she was only a minute short of that mark. If the Spartans had a fuller bench right now, they might not have to barely win games by scoring 95-100 points.That’s just not going to happen every time they take the court. They have a lot of talent, but with the personnel so thin at this point, it’s going to make the mere act of competing difficult at best. San Jose State defensive end Anthony Larceval was picked by the Football Writers Association of America for its courage award this year, after he battled back from a viral infection that could have ended his career to play in nine games this season. The redshirt senior was hospitalized at the end of last year with viral meningoencephalitis, and doctors told him his football career was over. He was able to battle back to play this season. He is the second San Jose State player to win the award, following Neil Parry in 2003. He will be honored at a banquet at the Orange Bowl in January. For more: Spartan Athletics release on Larceval’s award. It took an extra three periods, 15 minutes and a lot of work, including more than a few come backs, but the San Jose State men’s basketball was able to fend off a strong challenge from UC Davis for its second straight win and fourth this season, 89-85, on Wednesday night. This piggybacked off the women’s basketball team snapping its four-game losing streak by outshooting Georgia State, 95-81. Chandler Jones turned a 15-touchdown, 79-catch season into a spot on the honorable mention list for Sports Illustrated’s All-America team, the only San Jose State player to land on the team. The Mountain West landed a slough of honorable mentions from the magazine, but no actual spots on the first or second team. Check out the team here. The long and short of it: David Fales got snubbed. Again. Jalen James put up stellar numbers in the Spartans upset of Houston on Saturday, getting just the second triple-double in San Jose State history and just the third in Mountain West history. He was rewarded Monday with a share of the Mountain West Conference co-player of the week honors with New Mexico’s Cameron Bairstow. James is the fifth player in the NCAA to have a triple-double this season, getting 12 points, 13 rebounds and 10 assists in the Spartans’ 72-68 win over the Cougars, but he is the first freshman this season to do so. The alleys are closed: San Jose State won’t be bowling this year, and here’s why. It will be a winter of discontent for San Jose State. The Spartans will spend December at home this year after a 6-6 record and a rousing win over ranked rival Fresno State, victim to there being too many eligible teams and not enough spots. San Diego State and Colorado State snapped up the last two spots from the Mountain West, with the Aztecs taking their boring act to Boise instead of the Spartans, who spent the entire week campaigning for that spot. Those were the Spartans last good hopes. There was no magic to be worked, either: the few at-large bids went to mediocre teams in power conferences, and with so many teams fighting over the scraps, the Spartans were bound to be one of the many left out. It’s 2008 all over again. For a season that started with such high hopes, it’s a disappointing end for everyone involved. There will be a lot of hand wringing about bad losses to mediocre teams which could have tipped the balance for a bowl game to their favor. David Fales is starting to get a lot of attention. The senior quarterback is winning all the awards this week. The list seems to go to 11 so far. Such are the accolades for knocking off everyone’s favorite — and most overrated — BCS buster in Fresno State. On top of that, Charles Davis of NFL.com sees the senior quarterback zipping up draft boards also.